CONDITIONS OF USE AND SALE Last update: the 1st of April 2013 Welcome on Towbarsbay.com Please read these conditions carefully before using Towbarsbay. ELECTRONIC COMMUNICATIONS When the user uses Towbarsbay or send emails to us, he is communicating with us electronically; therefore for contractual purposes, he consents us to receive communications from us electronically; moreover he agrees that all agreements, notices, disclosures and other communications that we provide him electronically satisfy any legal requirement that such communications be in writing, unless mandatory applicable laws specifically require a different form of communication. YOUR ACCOUNT The user is always responsible for maintaining the confidentiality of his account and password and for restricting access to his computer, and to the extent permitted by applicable law he agrees to accept responsibility for all activities that occur under his account or password. He should take all necessary steps to ensure that the password is kept confidential and secure; he should inform Towbarsbay immediately if there is any reason to believe that his password has become known to anyone else, or if the password is being, or is likely to be used in an unauthorised manner. He is held responsible for ensuring that the details he provides us with are correct and complete, and for informing us of any changes to the information he has provided. He must not use Towbarsbay for fraudulent purposes, or in connection with a criminal offence or other unlawful activity, so that to cause annoyance, inconvenience or anxiety to third persons. Towbarsbay reserves the right to refuse service, terminate accounts or remove or edit content if you are in breach of applicable laws, these Conditions of Use or any other applicable terms and conditions, guidelines or policies. All the received orders are controlled by our sales personnel so that to avoid they are fraudulent. In this way Towbarsbay is protected by possible charge-back from the credit card's society and protect his customers. Data entry like the personal phone number or the email address during the purchasing could accelerate the manual of checking when there is need to contact the customer. If there subsist doubts concerning the authenticity of an order the shipment won't be confirmed and we'll provide immediately to refund the payment. All orders revealed as fraud will be denounced to the authorities and will be also inserted in our internal fraud system. REVIEWS, COMMENTS, COMMUNICATIONS, AND OTHER CONTENTS Visitors may post reviews, comments and other content; send e-cards and other communications; and submit suggestions, ideas, comments, questions or other information, as long as the content is not illegal, obscene, abusive, threatening, defamatory, invasive of privacy, infringing of intellectual property rights, or otherwise injurious to third parties or objectionable and does not consist of or contain software viruses, political campaigning, commercial solicitation, chain letters, mass mailings or any form of "spam". You may not use a false e-mail address, impersonate any person or entity. Towbarsbay reserves the right to remove or edit such content. If you believe that any content on or advertised for sale on Towbarsbay contains a defamatory statement, or that your intellectual property rights are being infringed by an item or information please notify us by completing and submitting a written with urgency. PRIVACY SAFEGUARD Towbarsbay doesn't share addresses, phone numbers or payment data. We could contact you just for marketing purposes. If there's no need to receive them it's sufficient to communicate us. PURCHASES CONDITIONS AND TERMS Please read these conditions carefully before purchasing on Towbarsbay. Making an order the user consent to be restricted by these conditions. The following conditions are effective for all sales agreement and for the supply of services by Towbarsbay. Purchasing an item on Towbarsbay the user consents to respect the following Terms and Conditions. To make an order means the acknowledgement of our sales conditions and terms. These conditions and terms doesn't compromise the legal rights of the user. All prices are inclusive of legally applicable VAT. The society reserves the right to modify prices and/or specifics any time and without any notification. Payment The payment for all the purchases has to been concluded within 30 minutes from the insertion into the basket otherwise the session will expire and the basket will be showed as empty. The payment methods accepted are clearly showed in our website pages and expect all the systems inserted inside the Pay-pal circuit. The user is responsible for ensure that the purchased item is compatible with his own vehicle. If he needs help we suggest to contact the our Towbarsbay Customer Service before proceeding with the purchase. 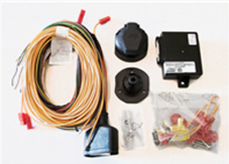 Towbarsbay can not be held responsible for possible imprecision or mistakes contained inside the fitting instructions or inside the technical documentation of each product. We invite the customers to carefully check the completeness of the delivered goods before proceeding with the installation. Towbarsbay can not be held responsible for possible costs for that reason. Delivery Usually our delivery time is around 4 working days from the order. Once the shipment has been done the management of the goods doesn't depend by us and it's necessary to contact the courier. Contextually to each order we provide the customer with the tracking number so that to track his pack and to verify the evolution of the shipment. WARRANTY The society commits to refund the money paid by the user in case of items different by the ones promoted or damaged, if advised within 30 days from the purchasing and only at reception of the refund merchandise. If the item is revealed defective beyond the 30 days from the purchasing we will provide for its reparation and in case it won't be possible we'll provide to replace it with another similar. It won't be accepted claims for possible money loosing due to the unforeseen. The claims and the failed reception of the goods has to be formalized in writing within 10 days from the order's date. Towbarsbay would not be held responsible for possible costs charged to the user in case of damaged products. The hereby clause doesn't compromise the legal rights. The society doesn't assume any responsibility also in case of damages caused by inappropriate use of the product for purposes different from the ones it was projected for. RETURNS Customers have 7 daily time to give back the merchandise from the delivery, if the return cause is different from damages or defects due to Towbarsbay. It would not be accepted goods in return beyond this timer. The return procedure is the following: the goods must be packed by the user in such a way to preserve their integrity and the possibility to be sold back. At reception the goods are submitted to check and if the last one is positive we proceed with the refund of the total amount through the same payment method. The items must be packed into their original package and mustn't be used. All their free pieces must be tightly fixed. Whichever damage due to a fault regarding this will cause a cost that will be deducted from the refund due to the user. If the product is returned as used any refund will be applied. It won't be accepted any rest upon agreement and without a RMA copy, that will be sent on request and must be filled. PRODUCT INFORMATION Towbarsbay is not the direct producer of the items sold on this website. In the product box and on the same one there could be some added information and also different from that ones showed on our website. All the information about the products on our website are given only as indicative ones. Do not trust only our website information. We suggest to read all the products labels,warnings and the instructions of the producers or the third parties. This doesn't compromise your legal rights. DAMAGED PACKAGES If a package arrives damaged you have to give us communication within 24 hours from the delivery. You'll receive a claim number from the courier, and the missing items or in replacement will be shipped when the damaged package will be retired. The user accept to collaborate with each in-depth examination of the courier and also to reserve the best moment in order to allow the courier to retire the damaged package. If the courier doesn't get the package by customer fault we reserve the right to charge the user with an additional cost through the same payment method used while purchasing. If you pay with Pay-pal system there must be given a credit card number before the damaged package will be shipped. Missing packages: if a package is missing, this must be checked by the courier. As soon as the courier will communicate a claim number the replacement package will be sent using the previous method. If the original package is then find must be refused by the customer so that to allow his return to the sender. If the customer accepts the package and we're informed that the user has received them both, one must be returned to Towbarsbay in charge to the user otherwise both the items will be charged. LIABILITY Towbarsbay engages at best to be on the lookout for the fully functional of the website in order to avoid the service interruption and to allow the commercial transaction to pass with fluency and without any error. However viewing the Internet service it could happen that the absolute service continuity couldn't always be guarantee. Moreover the Towbarsbay access could be occasionally suspended or limited so that to allow the repair service as well as the upkeep or the introduction of new contents or services. 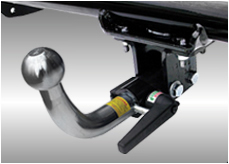 The frequency and durability of these suspensions and restrictions is a matter of fact of Towbarsbay. Towbarsbay wouldn't be held responsible for (1) the data loss that haven't been caused by an own violation, for (2) whichever economic loss (included the profit loss, incomes, agreements, anticipated savings, data or the support of avoidable expenses, or (3) whichever indirect loss or consequential unpredictable. Towbarsbay will not be held responsible for possible delays or for the lack of respect for his own commitments in these conditions, if the delay or the service interruption pass for causes beyond his control. That condition doesn't influences the legal right of receiving goods and services within a certain time or to receive a refund in case the goods and ordered goods couldn't be supplied in a reasonable period of time. The laws of some countries don't allow some or all the above mentioned limitations. In case these laws could be applied to you, some or all the above mentioned limitations couldn't be applied and you can benefit of additional rights. In spite of the yonder included dispositions we cannot be held responsible for possible delays or missed execution of the order caused by circumstances beyond our control. OUR CONTACT DETAILS Towbarsbay is the trademark proprietary of BIT Trading LLC, Abu Dhabi, Al Ain, Hili, Po Box 65446, Licence Number CN-1319484, main offices in Dusseldorf Business Point Bldg., Level 5, Serena Business Center, Po Box 214668, Al Barsha 1, Dubai UAE, tel. +971 44502466, commercial offices in Park House, 111 Uxbridge Road, Ealing, London, W5 5TL. COPYRIGHT All the contents here included are not of Towbarsbay property and are protected by international laws for the copyright and of royalty. It is not allowed to extract or re-use parts of whichever content of this website without our explicit written agreement. BRANDS All the brands included in this website, not of Towbarsbay property, are property of the respective owners. ALTERATIONS TO THE CONDITIONS OF USE We reserve the right to make changes to these Conditions of Use and Service Terms at any time. You will be subject to the terms and conditions, policies and Conditions of Use in force at the time that you use the Towbarsbay Services. If any of these Conditions of Use is deemed invalid, void, or for any reason unenforceable, that condition will be deemed severable and will not affect the validity and enforceability of any remaining condition.